Somali Football federation has donated footballs to 25 soccer clubs in the country, the grassroots development program and as well as to regional zones. Recently the world’s football governing body FIFA donated 860 footballs of which 60 are official match footballs to Somalia as part of FIFA’s additional assistance to the country. “We are sending a big thank you to President Blatter and we hope that FIFA will donate such assistance to us every year” SFF president said. Somali Football Federation president Abdiqani said Arab who addressed at the distribution ceremony of the equipment on Sunday, said that the SFF was very grateful to FIFA under the leadership of President Joseph S Blatter for the additional assistance. 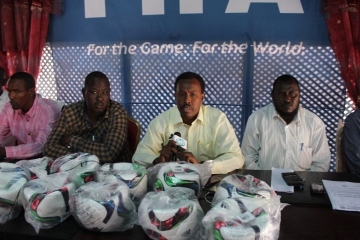 “This FIFA assistance came in the right time, because we have much need for the footballs at the moment and they will help develop the quality and techniques of footballers in the country” president Abdiqani Said Arab told the media during the distribution ceremony. 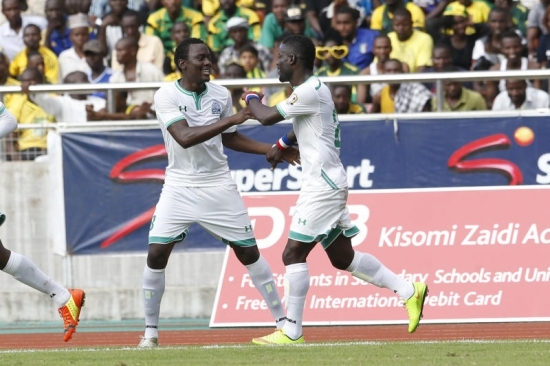 “FIFA sent these footballs to Somalia for the purpose of soccer promotion in the country and by virtue of that we are donating them to our clubs and as well as regional zones” the Somali FA president explained. 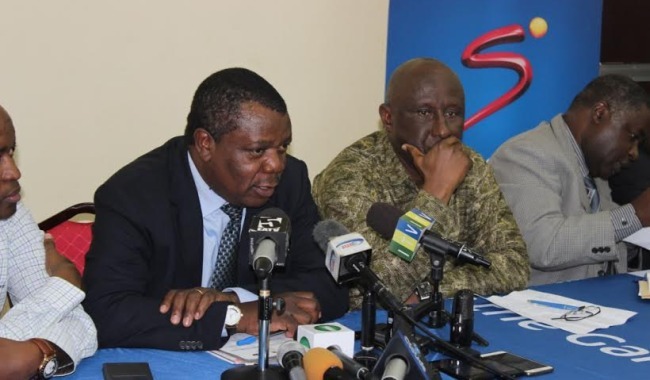 He said that the clubs and as well as grassroots received their donation during the ceremony at the SFF headquarters on Sunday, while the rest will be delivered to regional zones during football development courses to be organized in all zones in the weeks to come. The 5 regional zones are Somaliland, Jubbaland, Puntland, Southwest and central Somalia. 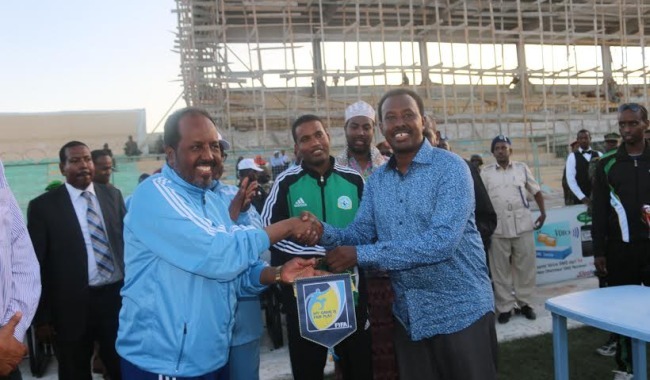 The president thanked regional state leaders in Somalia for accepting football independence from governmental interference adding that the SFF was fully appreciating the move by authorities in regional states which he said will help SFF accomplish its duties smoothly and freely. Since Somalia fell into anarchy in 1991, the Somali Football federation was using zonal representatives to promote football in regions.